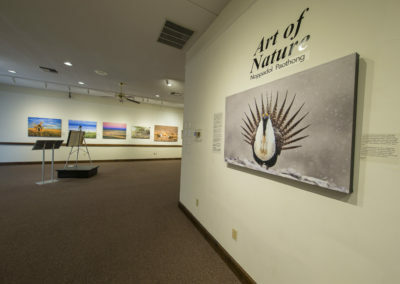 The sage-grouse is a beautiful species of bird that makes its home in the High Desert; it is a dramatic and impressive bird that easily captures the heart of people who are fortunate enough to witness it. 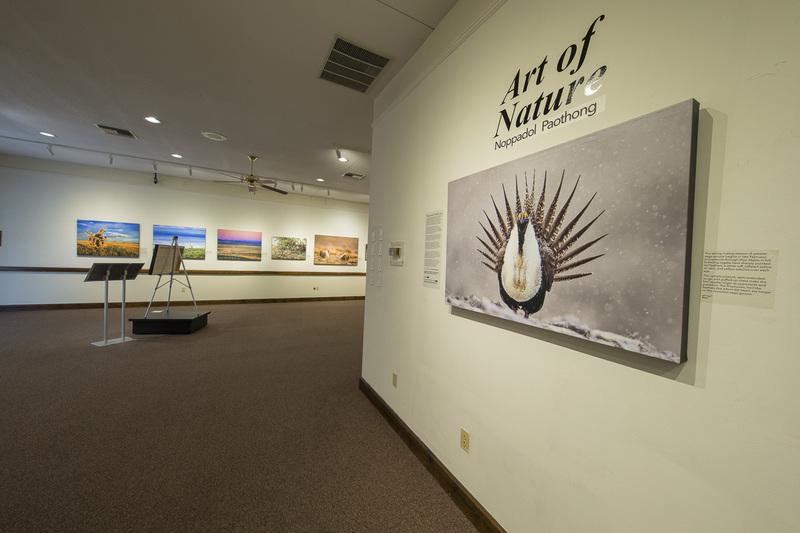 The spring courtship dance of the sage-grouse is one of the most flamboyant mating displays in nature. 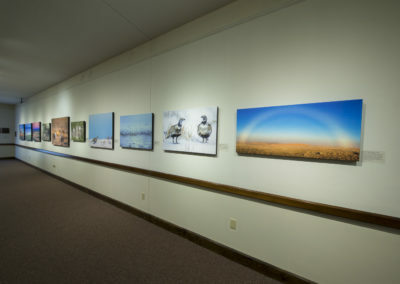 In many ways, the sage-grouse represents the unique and diverse habitat of the North American West and deserves to be recognized as the icon of the American West. 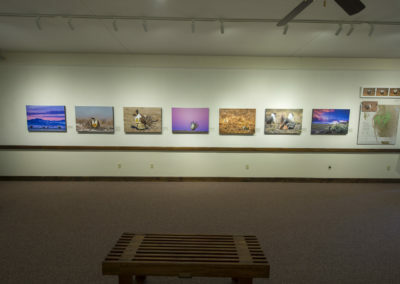 However, no in-depth photographic account of the birds, their life cycle, and the land they depend on has ever been shared by the public. The sage-grouse once flourished in 16 states and three Canadian provinces, numbering an estimated 16 millions just a century ago. 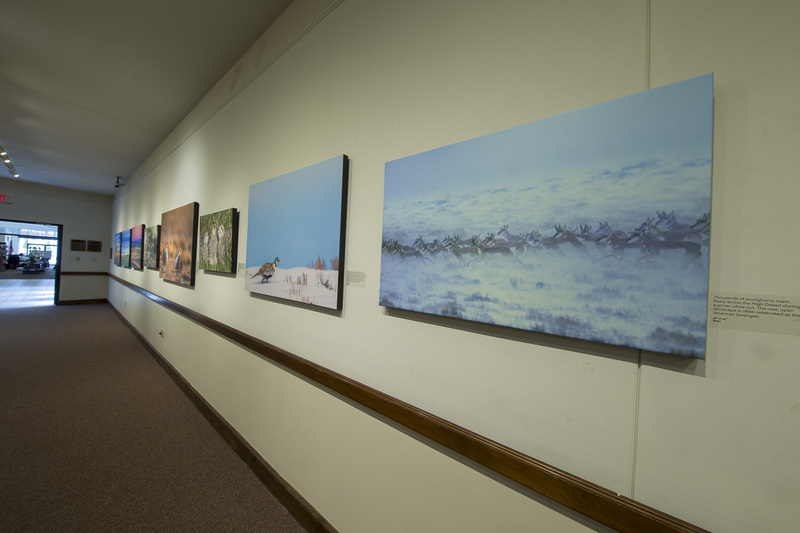 Unfortunately, the population of sage-grouse has diminished drastically over the past decades. 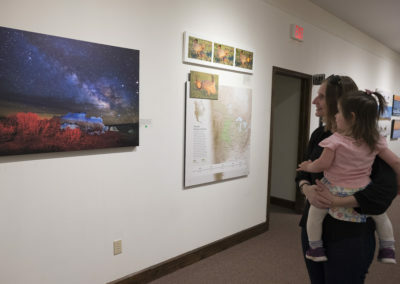 Today there are fewer than 400,000 with uncertain future. 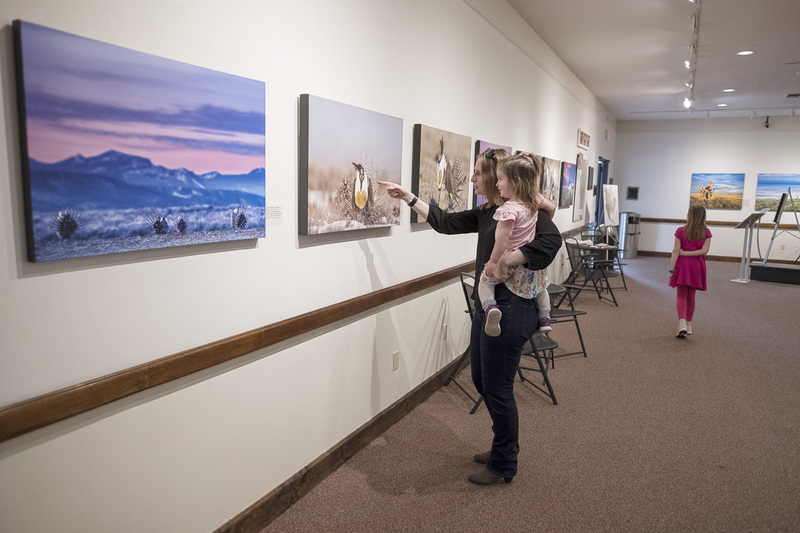 As a result, many bird lovers, nature enthusiasts, and even many long-time residents of the west have never even seen these extraordinary birds. 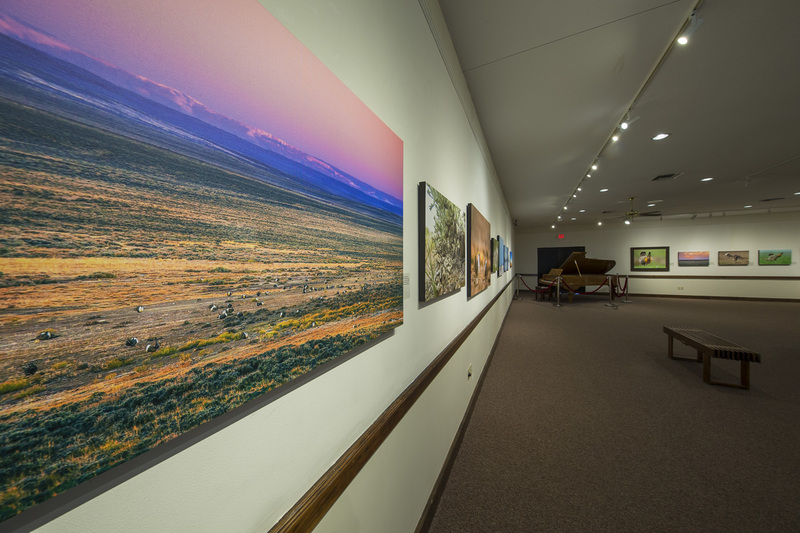 Often referred to as the “Sagebrush Sea”, healthy sagebrush-steppe habitat is increasingly rare. 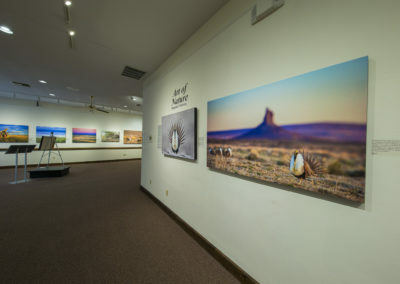 Since the pioneer explored frontier, millions of acres of sagebrush-steppe have been converted to agricultural uses, and the loss of habitat has resulted in the disappearance of sage-grouse from many historic ranges. 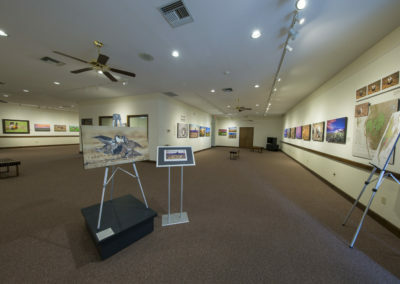 To many, the High Desert may seem empty and desolate. In reality the sagebrush sea is home to diverse and abundant wildlife that rely on this unique ecosystem. 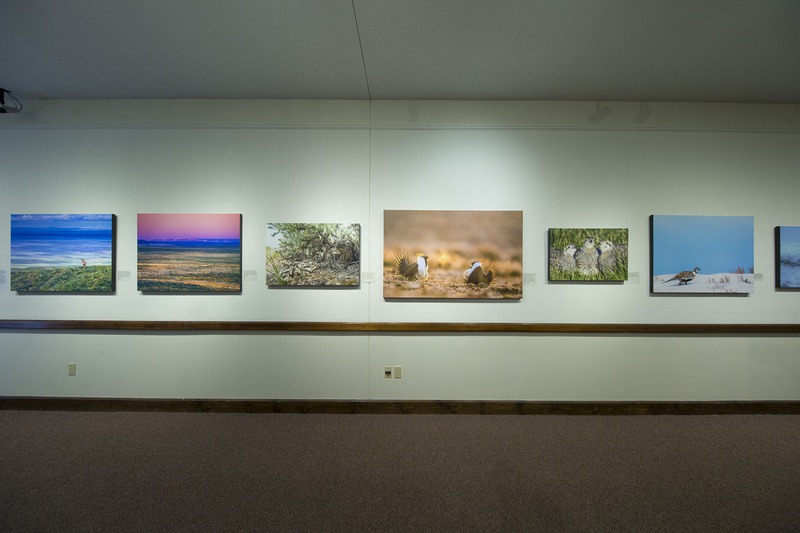 The sage-grouse is one of the abundant species that make its home there and nowhere else. 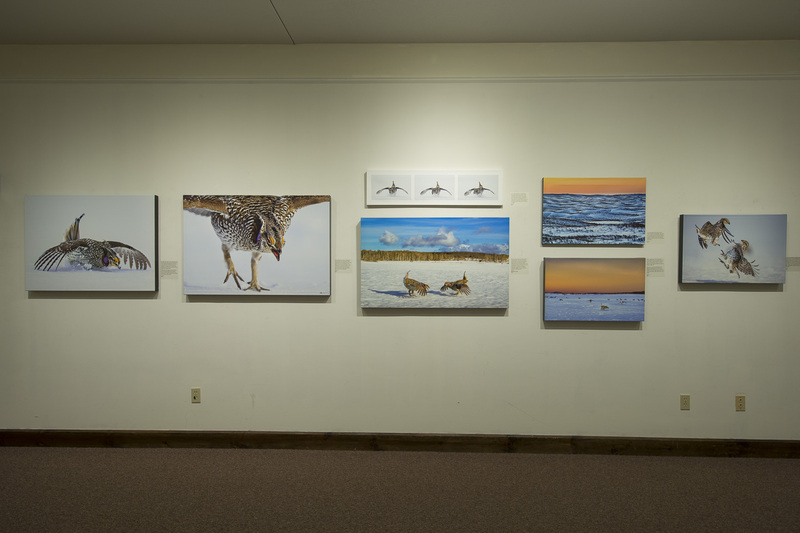 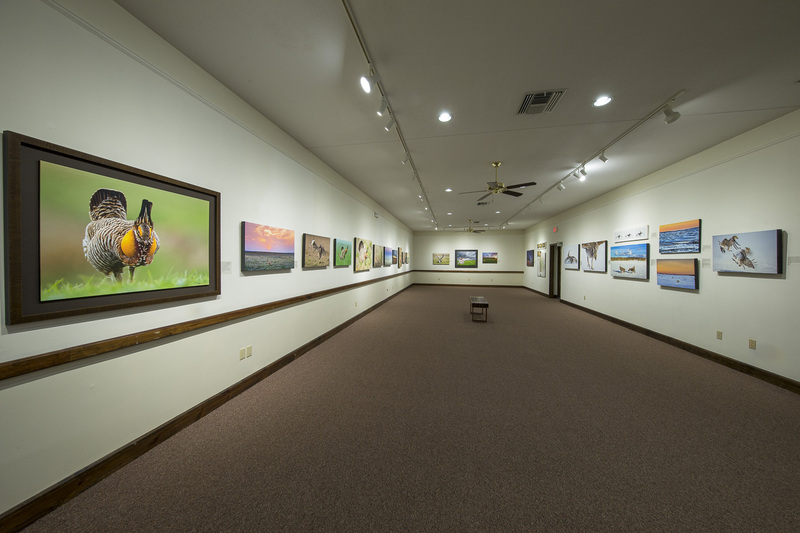 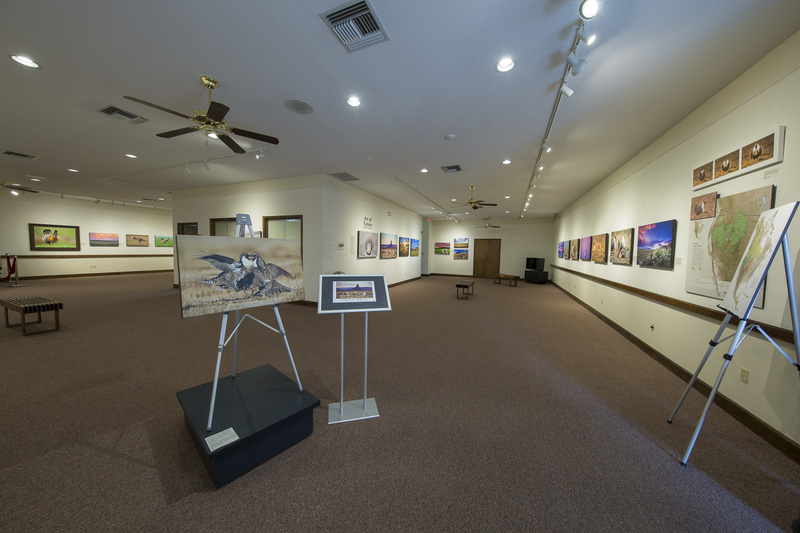 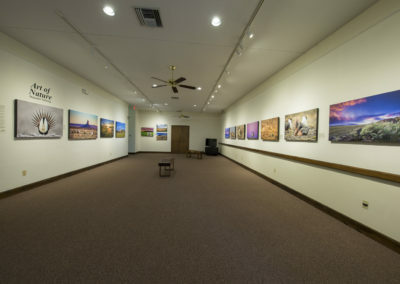 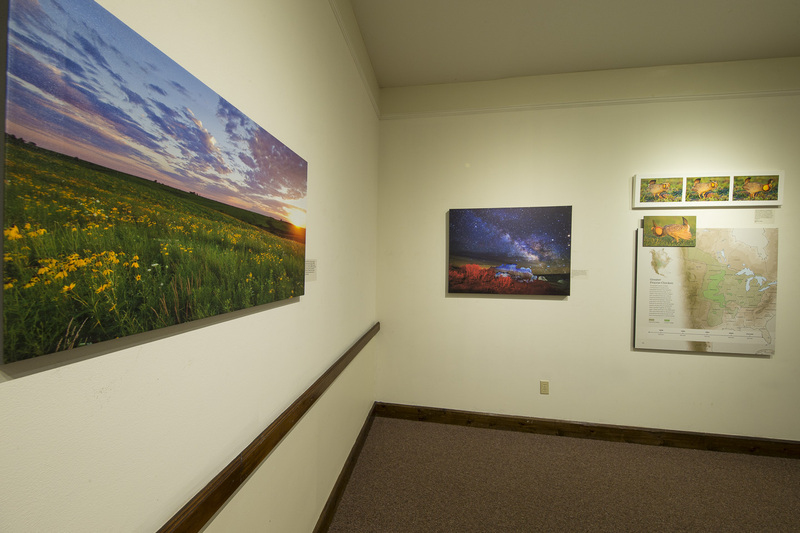 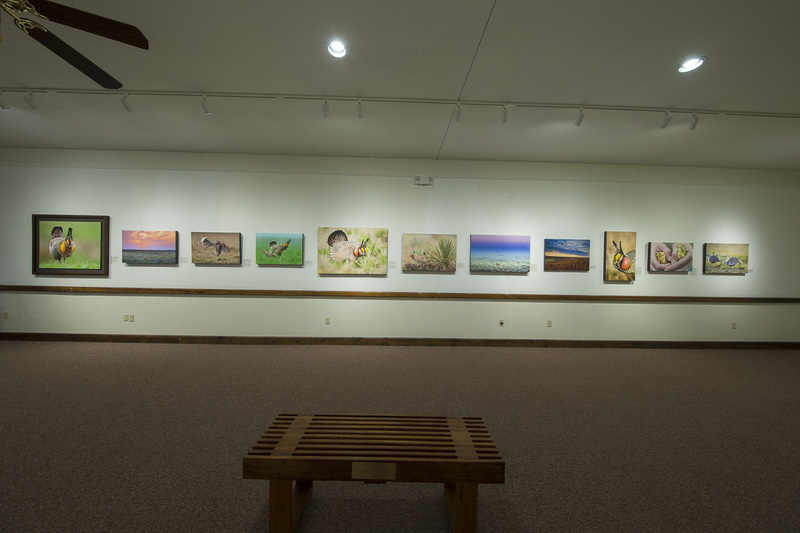 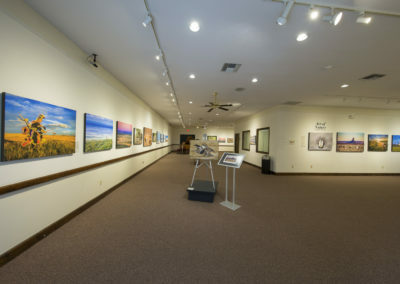 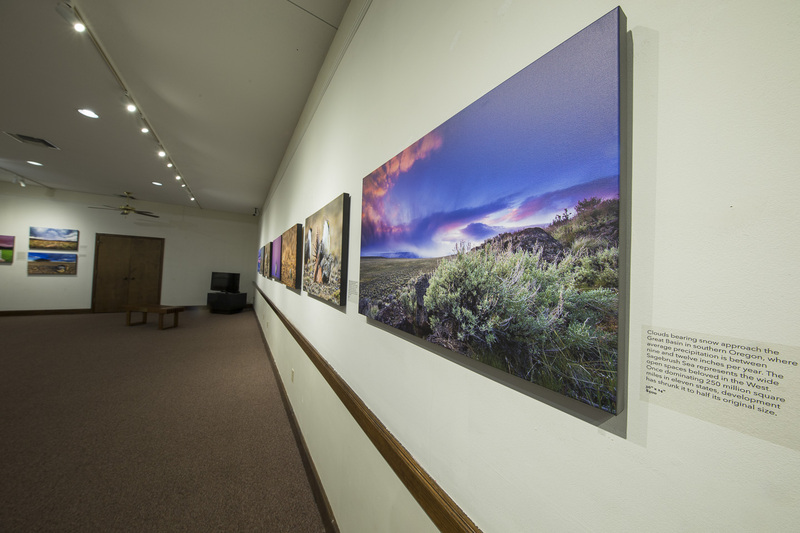 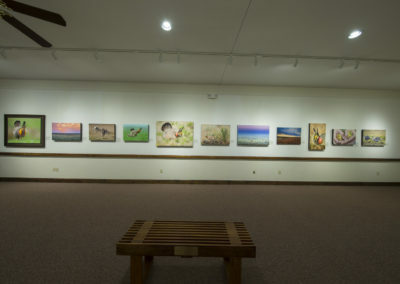 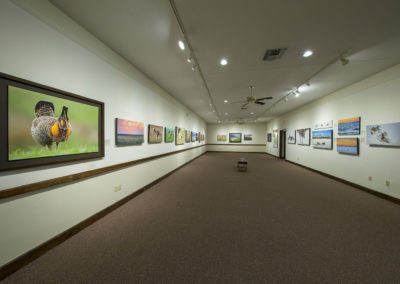 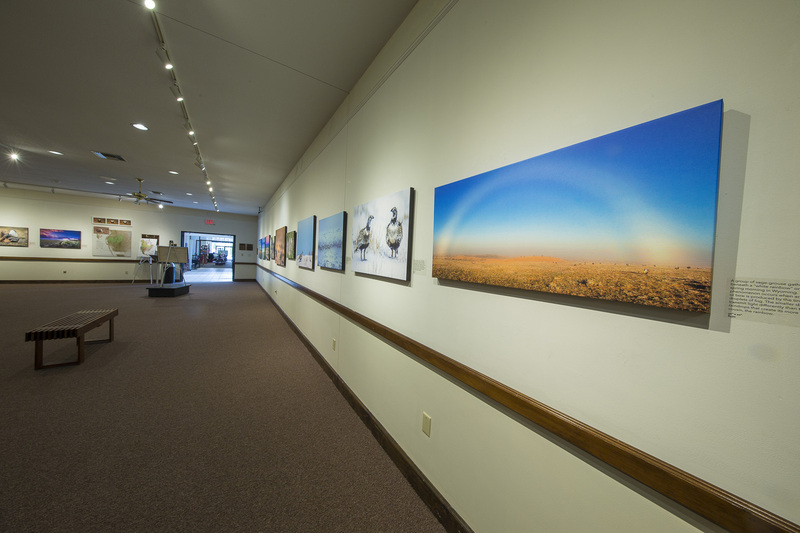 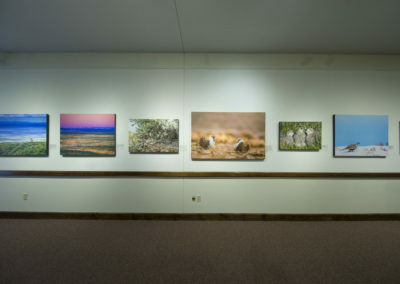 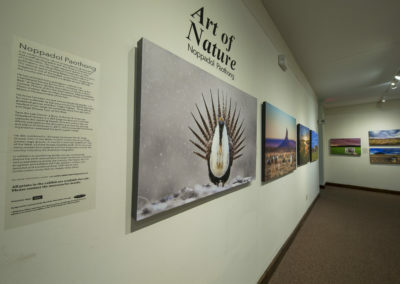 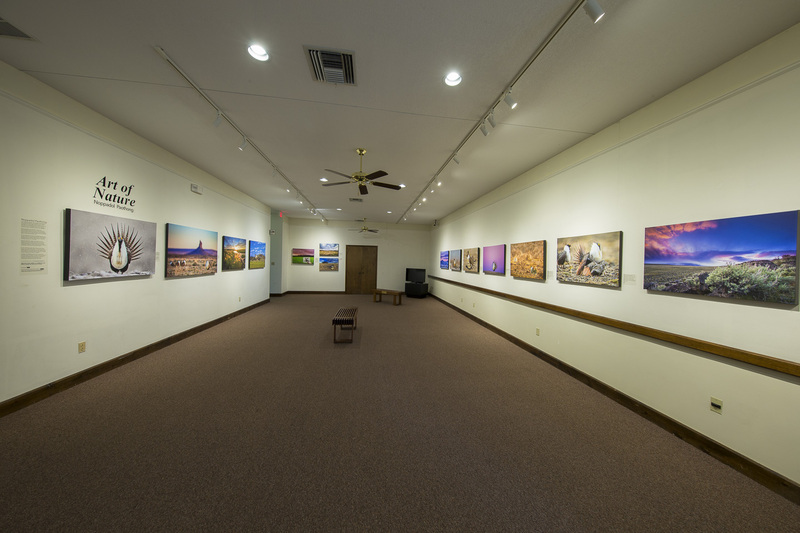 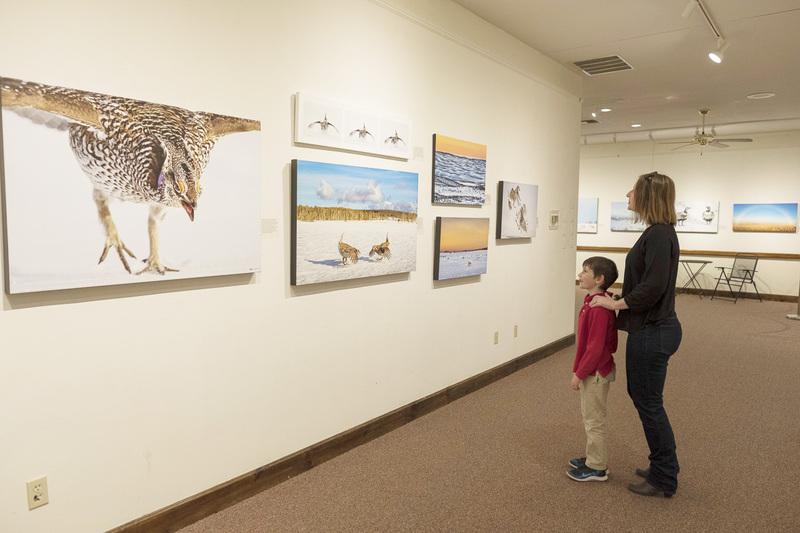 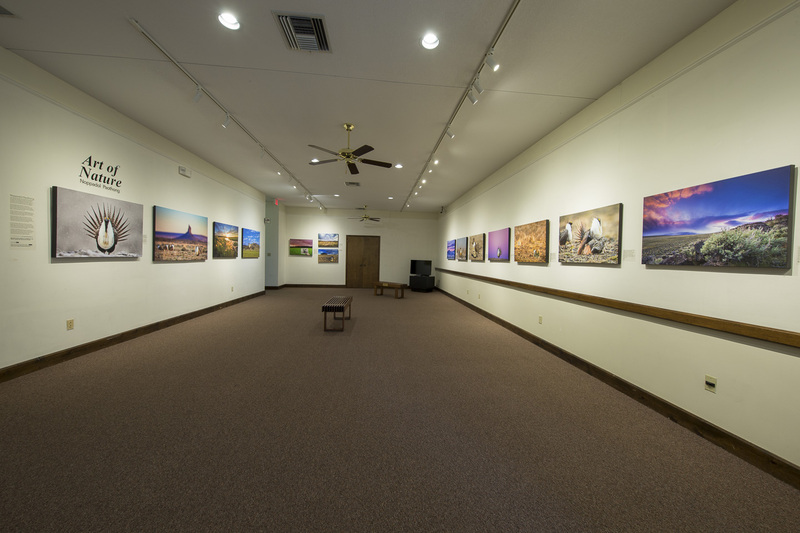 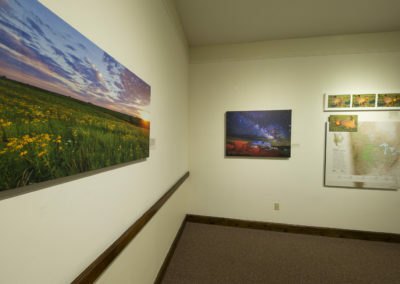 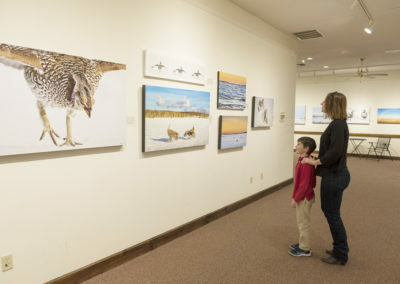 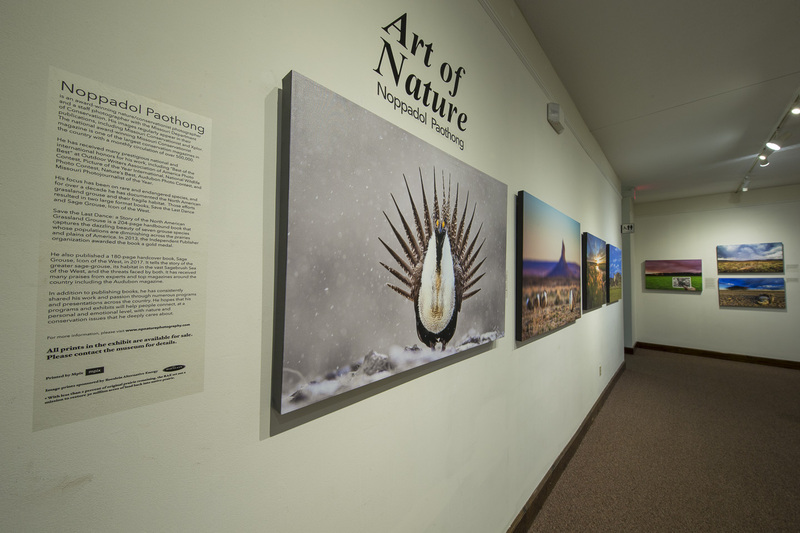 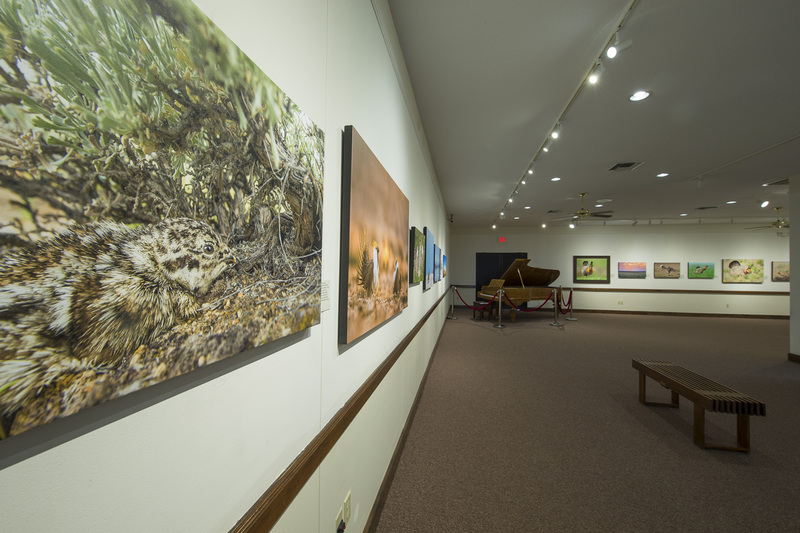 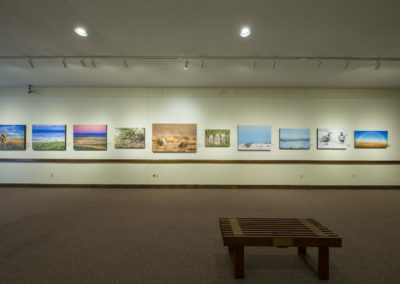 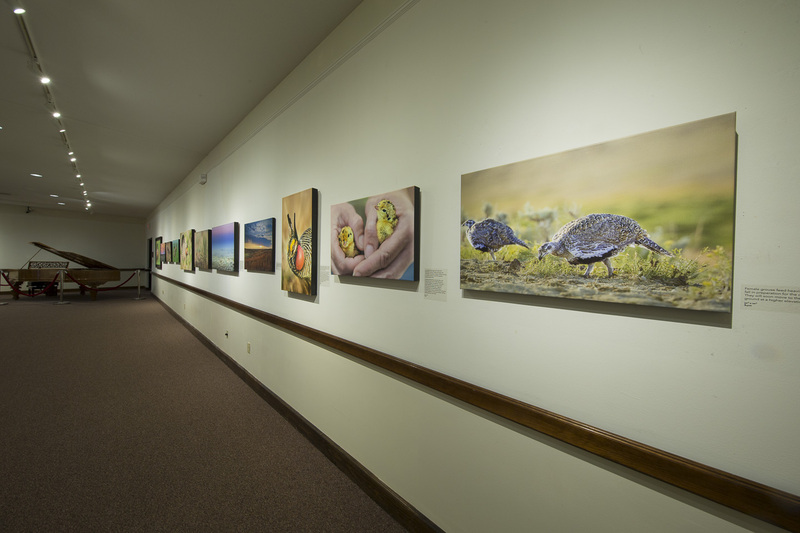 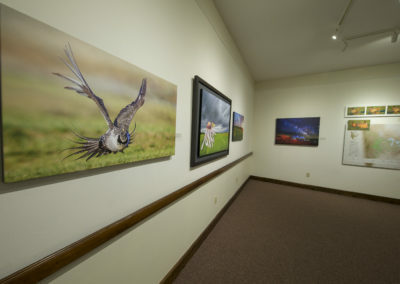 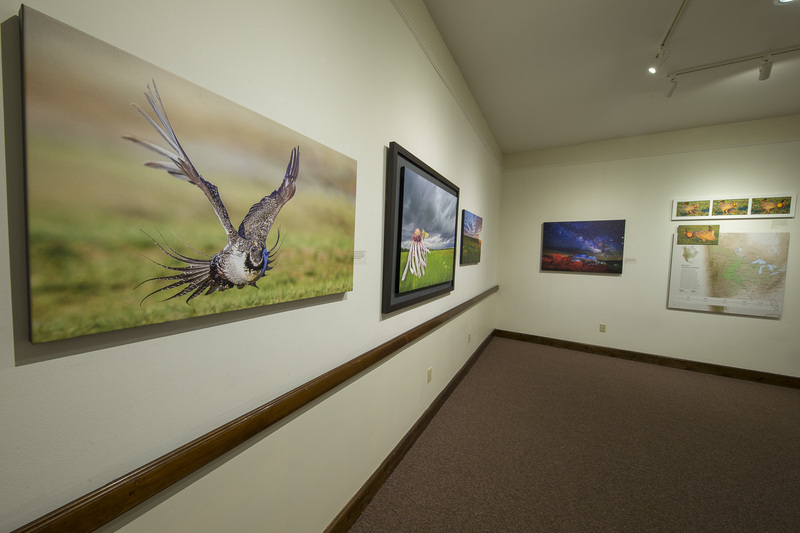 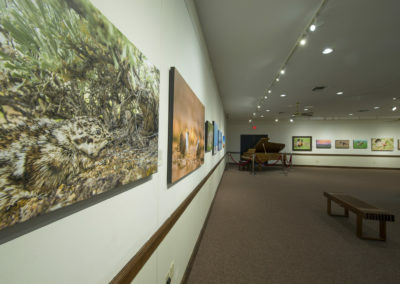 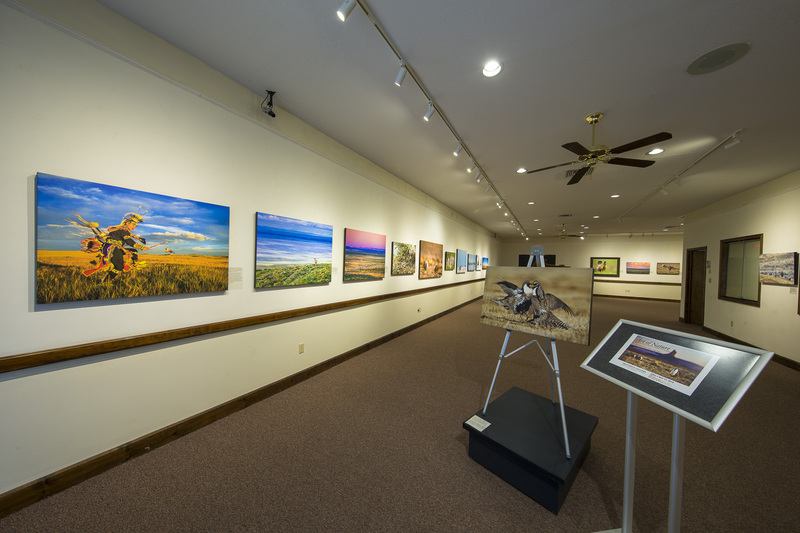 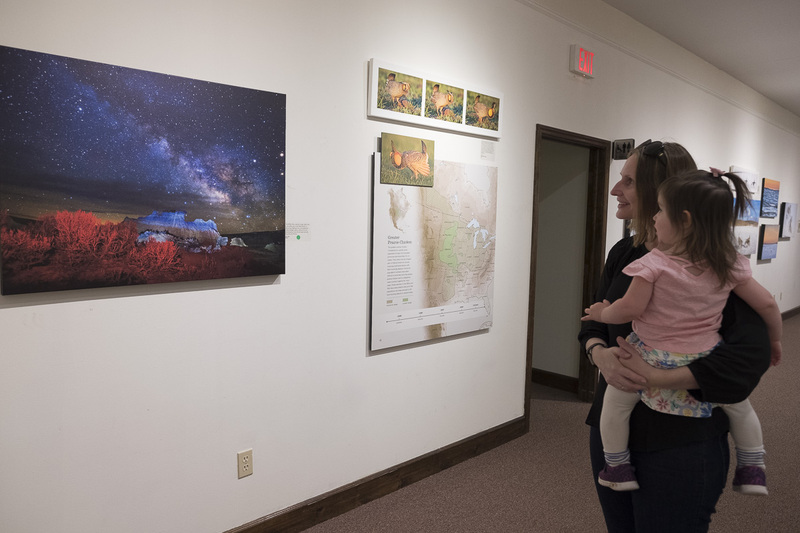 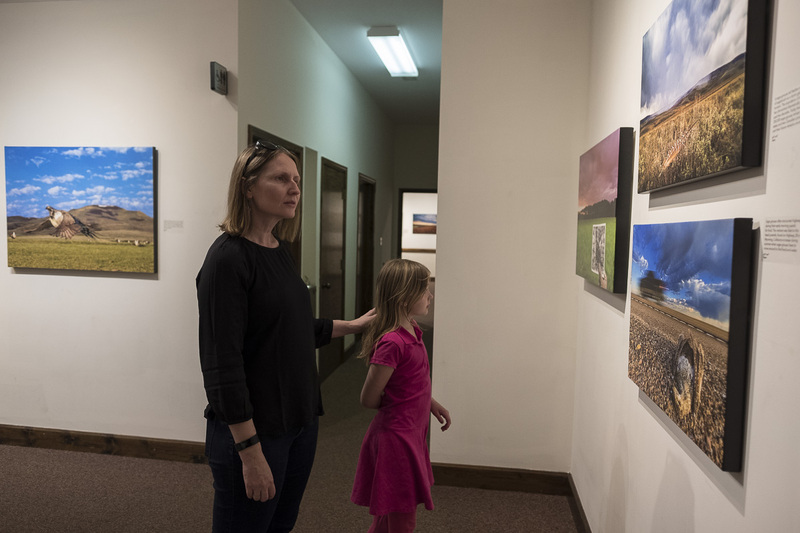 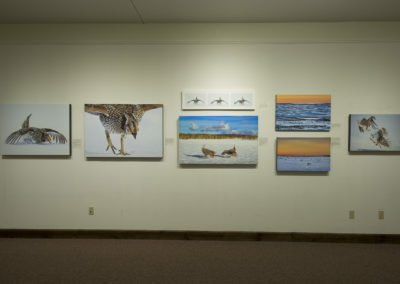 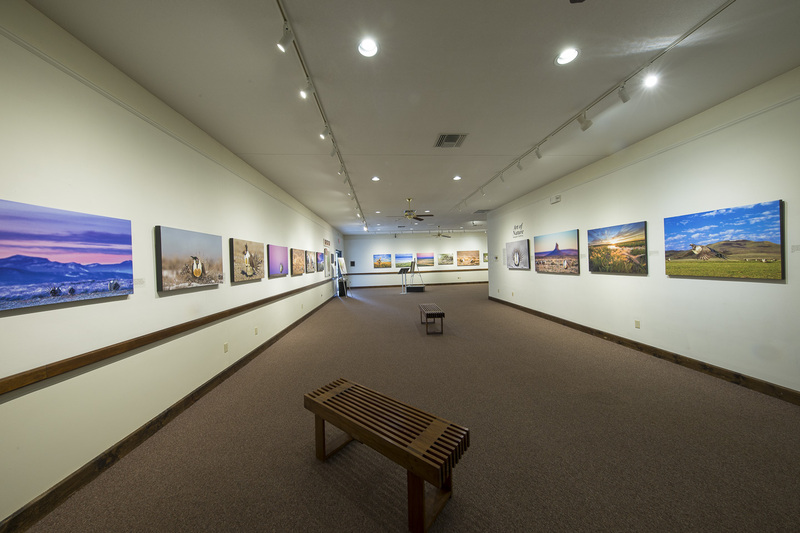 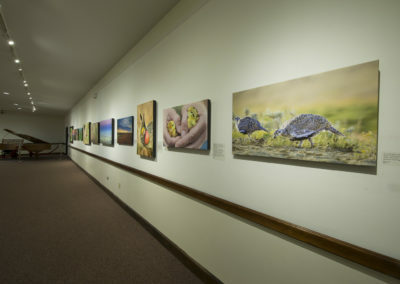 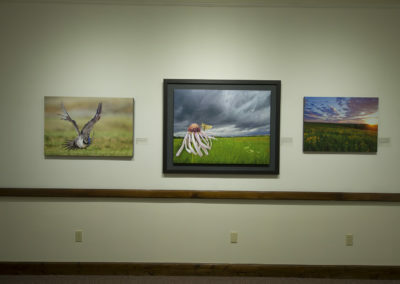 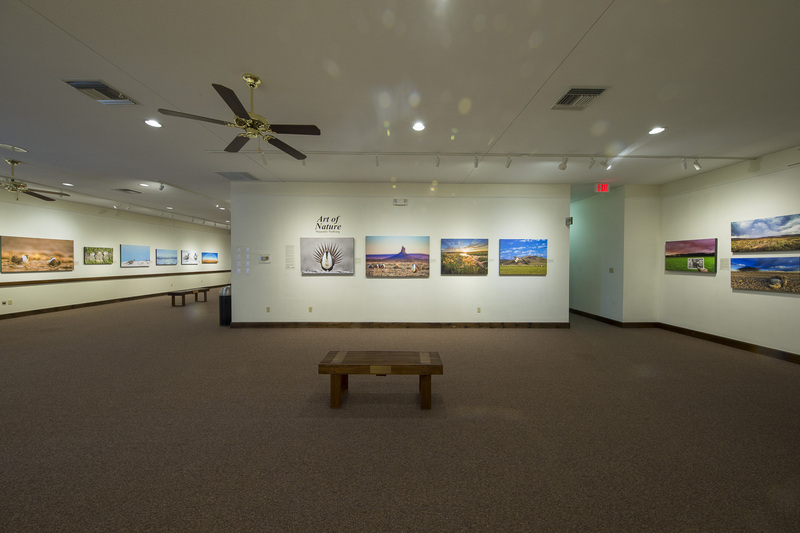 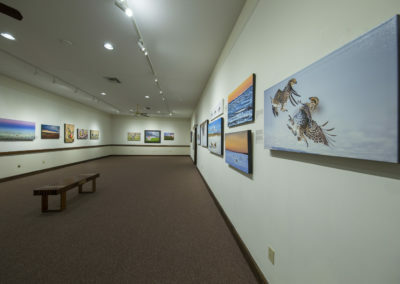 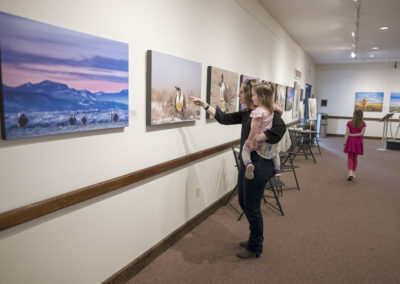 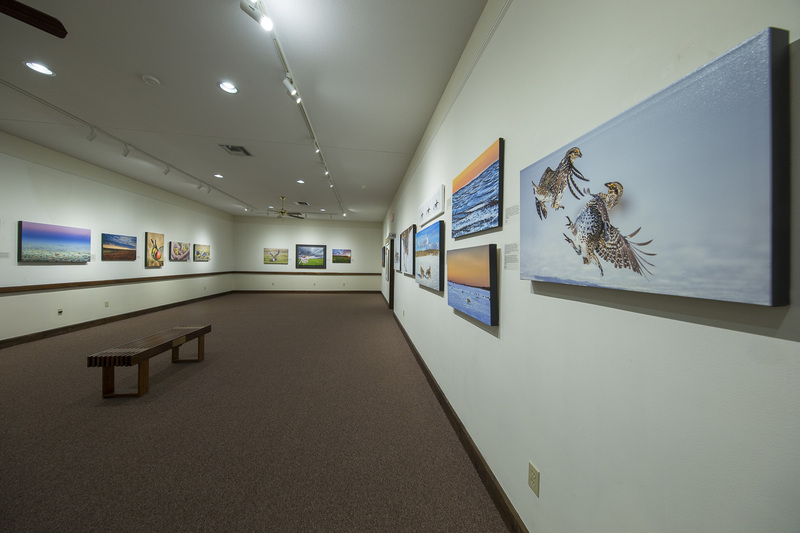 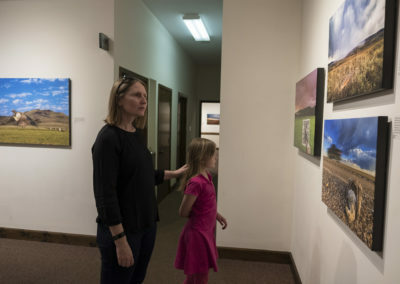 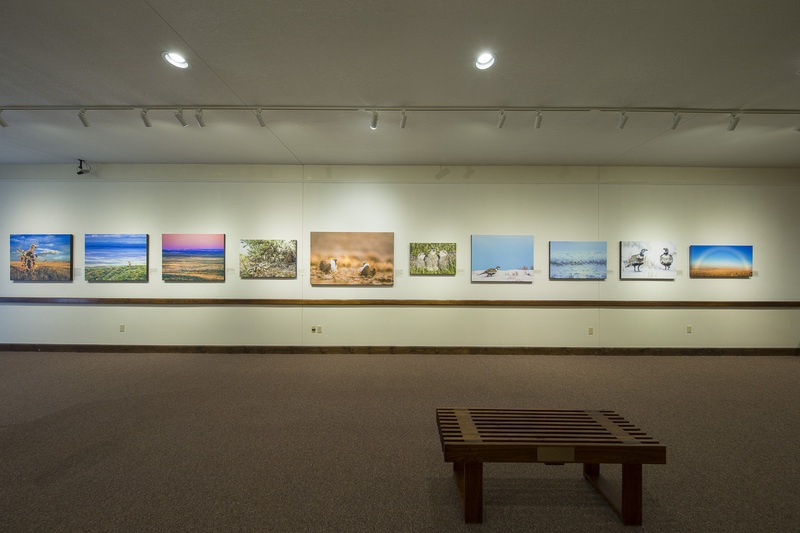 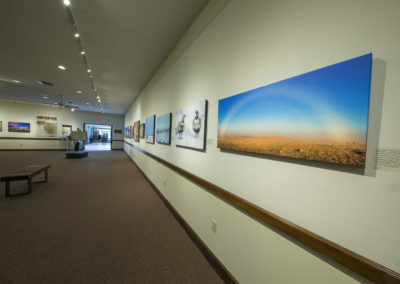 Through this exhibit, Noppadol Paothong hopes to introduces this bird to many people, increase the understanding of its value and plight, and help the discussion and decision about conservations in ways that will benefit all – humans and wildlife that live in and near the sage-grouse habitat.